Traveling on a regular basis may help keep us mentally sharp as we grow older, according to a growing body of scientific research. Specifically, globetrotting may slow the aging-related shrinkage of those parts of the brain that control our thinking skills and memory. Northwestern University scientists have been studying a group of “Super Agers,” older people who seem to be resistant to the mental decline too often experienced by older people. Some of the study participants are avid travelers. Super Ager June Scott, 86, has visited all seven continents and 87 countries. In recent months she traveled to Namibia, where she climbed giant sand dunes and kayaked amongst seals. Scott has lost brain volume at half the rate experienced by most people her age. As a result, she has the mental agility of a 50-something. Before you race to renew your passport, understand that travel isn’t the Fountain of Youth. Staying mentally and socially engaged are the Fountain of Youth, and while hitting the road encourages those things, you can get the same benefits close to home. It was once believed that we were born with a certain number of neurons in our brains and that number declined as we aged. But scientists now understand that neurogenesis—the creation of new neurons—can be fostered by new and engaging experiences. Travel is jam-packed with such activities — from planning the journey to navigating the airport and flight to interacting with fellow travelers to experiencing new cultures and sites at your destination. All of this newness and challenge promotes brain health. As a bonus, travel also tends to be a very social activity, as we take our jaunts with a spouse, a group of friends or a tour group. Maintaining a high level of socialization in retirement is proven critical to heading off depression and other health concerns. This all jibes with my research-based finding that happy retires take an average 2.4 vacations per year, compared to 1.4 for unhappy retirees. 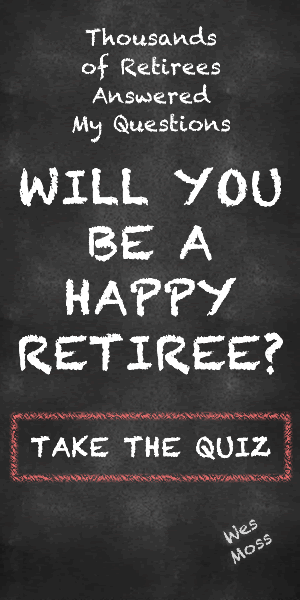 You can learn more about the trait of happy retirees in my book, You Can Retire Sooner Than You Think. But what if you are a homebody? Or lack the physical or financial resources to travel? No worries, there are plenty of ways to grow some neurons in your own neighborhood. Community involvement is a great way to challenge your mind and feed your brain’s need to socialize. Tutoring school kids, playing games with friends, working at the homeless shelter, joining the choir or another church group – these types of activities can help build your social network while forcing your brain to create new muscle. Got enough friends and acquaintances? Cool. Push your brain by taking up new sports, hobbies, and pursuits. Learning a new language, mastering pickleball or taking up woodworking will provide most of the benefits of travel. In short, the key to staying mentally sharp in retirement is to live life as children do – full of curiosity, eager to explore, and open to making new friends. That’s the way to stay forever young.